Let’s start by making a few general observations about the material from which any particular door is constructed. 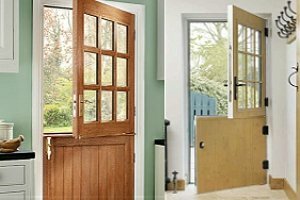 There are claims about which type of door loses the least heat, but the biggest loser is probably a single glazed softwood front door and, according to the makers, a uPVC Composite product is one of the most energy efficient. 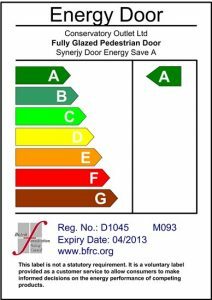 If you are just about to buy, or have recently bought a new front door, then on of the first things to check is the door energy label which should come with the door. Produced by the BFRC or British Fenestration Rating Council (http://www.bfrc.org/ ), this is a colour coded & alphabetically ordered label (A-G) that will identify the energy saving characteristics of the product. As a “rule of thumb” A is the best rating, G the worst. 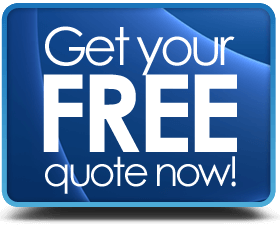 However, there are manufacturers that offer A++ rated entrance doors. 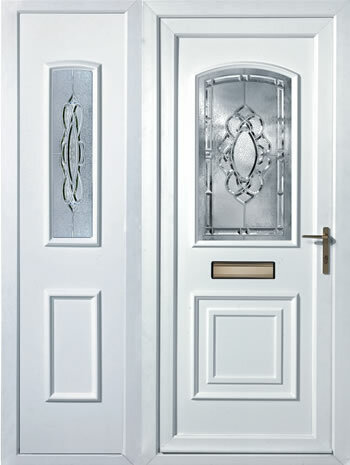 No matter how expensive and highly rated your door, if it is fitted badly it’s going to cause some problem or other. Doors that do not close properly (out of alignment) will allow cold air to enter & hot air to leave. Letter boxes are a big culprit for this, loose fitting “flappy” letter boxes should be sorted out very quickly. Mastic or silicone sealant around the door frames can perish over time. It tends to dry out, shrink, crack or separate from the wall causing a small gap. Whilst it may not look like much a thing called “capillary action” can draw moisture into your home causing damp patches and mould. Check the sealants yearly. Glass sections in the door can lose heat, so to reduce this greatly it is wise to have double glazed panels where possible (you can also go for triple glazing). The glazed sections are generally held in place by beadings (in the “old-days” this would be putty). Some of these will have a rubber edging that can perish and cause leaks. Take a look at yours to see if they are OK as if the seals fail the glazing can allow draughts & damp. If you have a modern double glazed door, chances are that you already have draught excluders built in. These are brush like strips around the inner door frame. If you don’t have them, in most cases, it is quite a simple DIY job to fit them afterwards. Fitting some type of curtains or drapes to the inside of the door can make a big difference. Not so popular these days, but “back in the day” my grandmother & all her friends had curtains behind the door to cut down draughts. If you have old aluminium doors, check to see if they are made with a thermal break. 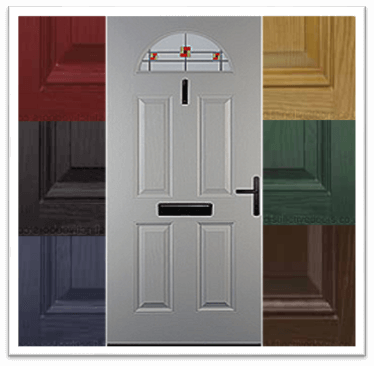 Aluminium is an excellent conductor of cold & heat and older doors made from this material are a disaster in terms of energy efficiency. If you can, replace them. Modern aluminium doors, such as bifold patio doors are designed and built with modern standards in mind and do not suffer from such poor performance. Don’t stand chatting at the door with it wide open, and close it as soon as it is polite to do so. 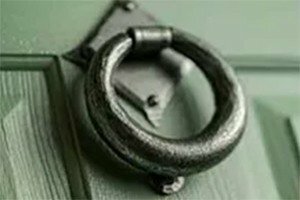 If you have multi-point locks, engage them each time you close the door as they tend to pull the door closed a little tighter. If you have drapes, close them. It’s reported that a window or a door with closed curtains behind it loses 10% less heat than one without.